Hard work, perseverance, a keen sense for trends, innovative power and a strong entrepreneurial spirit all resulted in a successful enterprise. Our family always regarded it as very important to pull together as a team, even in the face of adversity. 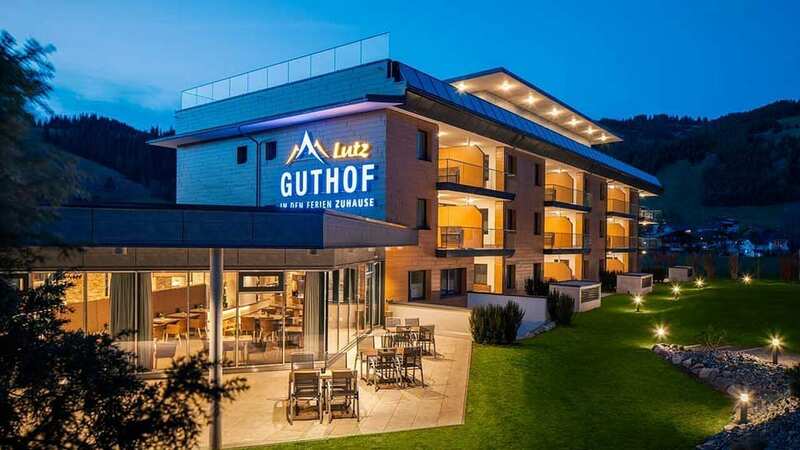 The purchase of the Guthof land on the outskirts of Schattwald was a major founding stone for the business’s further development, which ultimately led to the construction of the new Lutz Kaufhaus in 2004. Together with Restaurant Guthof and the petrol station, the area around the Guthof evolved into a new centre and became a well-known Tannheim Valley landmark. Since Theresia Lutz passed away in 2015, the enterprise has been managed by Josef and Andreas Lutz. The store is a unique business, which has maintained its independence up to this day. In a very demanding market, nowadays chiefly driven by major brands, excellent business skills and an understanding of what customers need are the driving forces behind our success. Our store, Kaufhaus Lutz, occupies a genuine niche in the market. 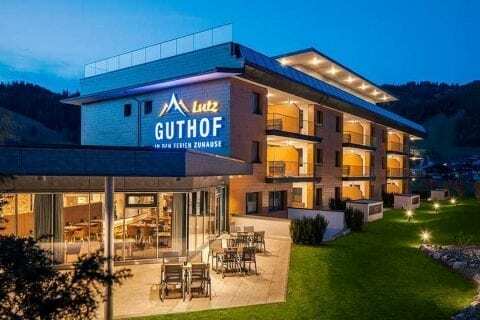 Our business success and our wish to safeguard its future inspired us to build our Guthof Lutz apartments. As with our Kaufhaus Lutz project, innovation and generosity were the cornerstones of our apartments. On 1 May 2016, the holiday apartments were officially opened, and ever since we have been pleased to be able to offer our guests the highest level of quality and comfort during their holiday in Tannheim Valley – Europe’s most beautiful high valley.